What could be better than grilled cheese? It is one of the simplest most comforting meals I know. I subsisted on grilled cheese for most of my freshman year of college (let’s not talk about how much weight I gained that year….). It’s become more of a treat food than an everyday food now that I’m in my thirties and a smidge more health conscious than I was in those halcyon days. A few weeks ago, I caught an episode of America’s Test Kitchen where they made a fancy grilled cheese that looked good, but it was one of those cases where they took a recipe and made it too complicated for it’s own good. It involved putting brie and cheddar and shallots in a food processor and making a paste. I don’t know about you, but there’s no way I’m getting out a food processor, let alone cleaning one, just for grilled cheese. Still, they were onto something with the brie. Adding a triple cream cheese to an aged cheddar makes for a gooey, unctuous filling for a sandwich. But it turns out there’s an easier way to get it there. Triple creams are by nature soft cheeses, and if you let them sit at room temperature for a few minutes, they become spreadable. 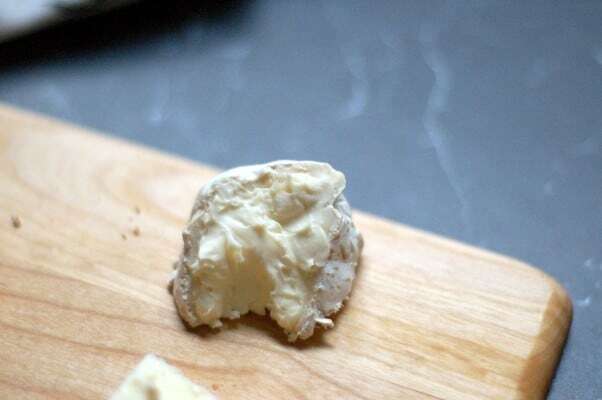 I had a nub of Cowgirl Creamery’s Mt Tam, a buttery, decadent triple cream on hand. I removed the rind and spread the soft cheese on my sandwich bread, then layered it with slices of sharp aged white cheddar. I could have stopped there, and proceeded as usual, and it would have been a dynamite sandwich, but I turned again to a trick I learned years ago from Judy Rodgers’s fantastic Zuni Cafe Cookbook. After spreading the outside of the bread with butter, I crumbled up some dried sage leaves and added a few cracks of black pepper. If you’ve ever had pasta in a sage butter sauce, you know how those two ingredients harmonize. 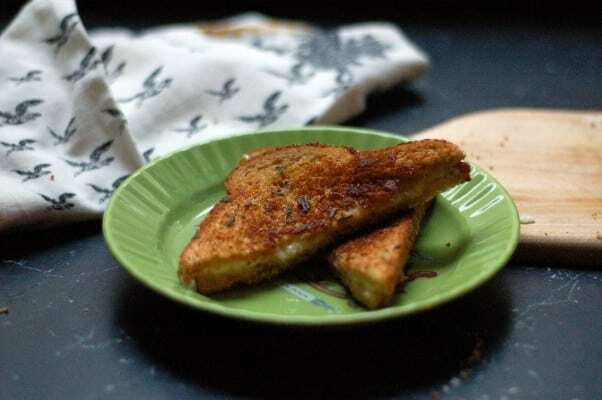 It’s a simple thing to do, but it gives a grilled cheese an herbaceous complexity that I find utterly beguiling. This is still simple comfort food. But it’s elegant comfort food. Perfect for a rainy day lunch when you want to treat yourself without going to too much trouble. Looking for something else to do with fancy cheese? Try this savoy cabbage gratin with delice de bourgogne. This is grilled cheese. Odds are, you know more or less how to make it. It’s a recipe where precise measurements are unnecessary. This version is crisp and delicately herby on the outside and rich and gooey with sharp cheese flavor on the inside. You can use any triple cream you like. I used Cowgirl Creamery’s Mt. Tam, which is a triple cream I love, but anything from a basic buttery brie to St. Andre to Delice de Bourgogne would be fantastic on this sandwich. As for cheddar, I went with a basic Cabot cheddar (what can I say, I married a Vermonter). Don’t use anything aged more than a couple of years or it will be too dry and crumbly and won’t melt well. 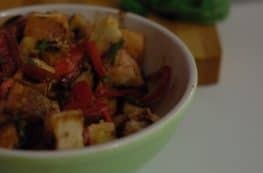 There’s no need to break the bank on cheese for this, though it’s a great way to use up any odd bits you have lying around. Let the triple cream sit out at room temperature for 5-10 minutes to allow it to soften. 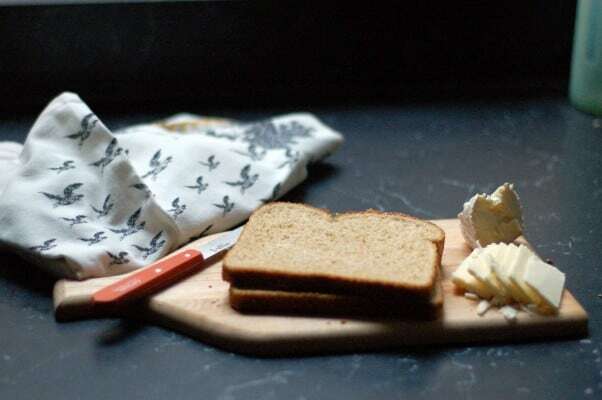 Spread the cheese in a thin layer on one slice of bread. Cover with a layer of cheddar cheese, and top with the other slice of bread. 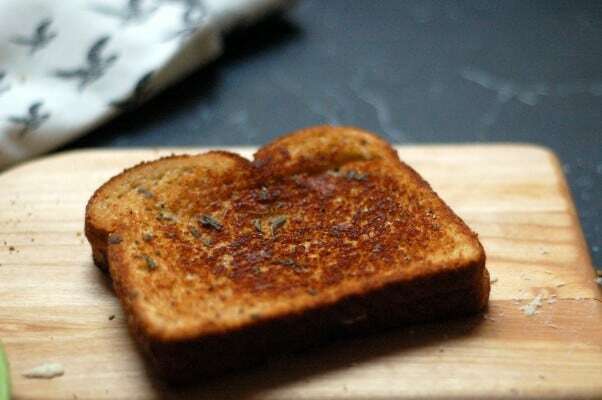 Spread butter over the top of the bread and sprinkle with crumbled sage leaves and a few cracks of black pepper. 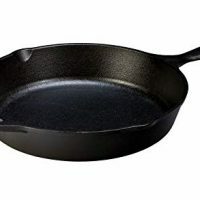 Heat a heavy skillet over medium heat. Put the sandwich butter side down into the skillet. Butter the bread that’s now on top. Sprinkle with sage and black pepper. Cover and cook on medium low until the bread is toasty and the cheese is beginning to melt. Flip and cook on the other side until both sides of the bread are deeply browned and toasty and the cheese is thoroughly melted. Remove the sandwich to a plate or cutting board and let sit for a few minutes to allow the cheese to firm up just a bit. Slice and serve.